This website requires cookies to be enabled in order to use the shopping cart and wishlist. 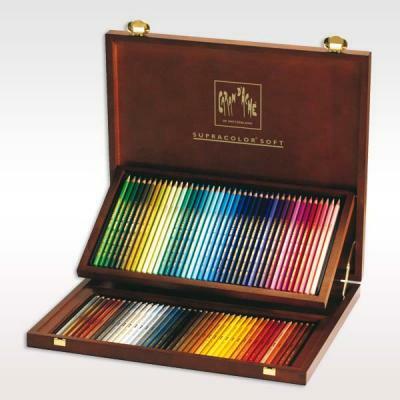 This beautiful wooden box set contains 80 Supracolor soft water-soluble artists' colour pencils in assorted colours. Sign up to our newsletter to be notified of our latest offers and receive exclusive money-off vouchers, plus every month you will be entered into a prize draw to win 5000 reward points - equivalent to £50 to spend on the website!